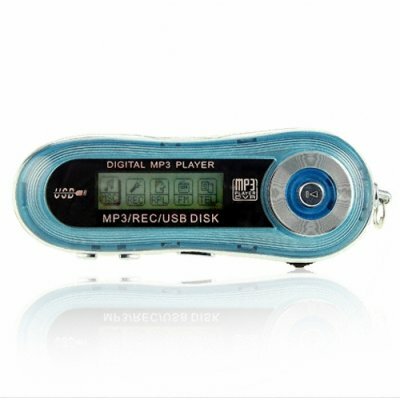 Successfully Added Smooth Blue MP3 Player 512MB - 10 Hours Playing Time to your Shopping Cart. Cute and pocket sized smooth light blue 512MB MP3 Player, powered by a single inexpensive AAA battery but providing up to 10 hours of listening enjoyment. You can easily find which songs you wish to play with the Backlit Dot-Matrix Display with ID Tags, as well as being to record in ACT or WAV format.